The Foley House Inn offers the perfect place to stay in Savannah. Our most noteworthy feature is our location. You’ll not find a more centrally located Savannah boutique hotels anywhere in the Historic District. We are a 19 guestroom Savannah Boutique Hotel. Some think of us as a Savannah Bed & Breakfast. Hence you will find that here you get the best of both. We know once you walk through our doors that you’ll be inclined to stay for a spell. Furthermore our lobby welcomes you to sit and meet some new friends. Or just head to your room for some relaxing private time. It’s up to you. There are many things to do in Savannah GA. We don’t want you to miss a thing so consider one of our fun getaway packages when planning your trip. In our historic Savannah boutique hotels, what were once beautiful and ornate wood-burning fireplaces are now energy-efficient gas fireplaces, which you can easily turn on with the flip of a switch. Fireplaces are turned off during the summer months due to the weather. Naturally each room is equipped with central air with individual thermostat controls. We are also one of the only pet friendly Savannah boutique hotels in the area. In contrast to other hotels, we do not have breed or size restrictions. 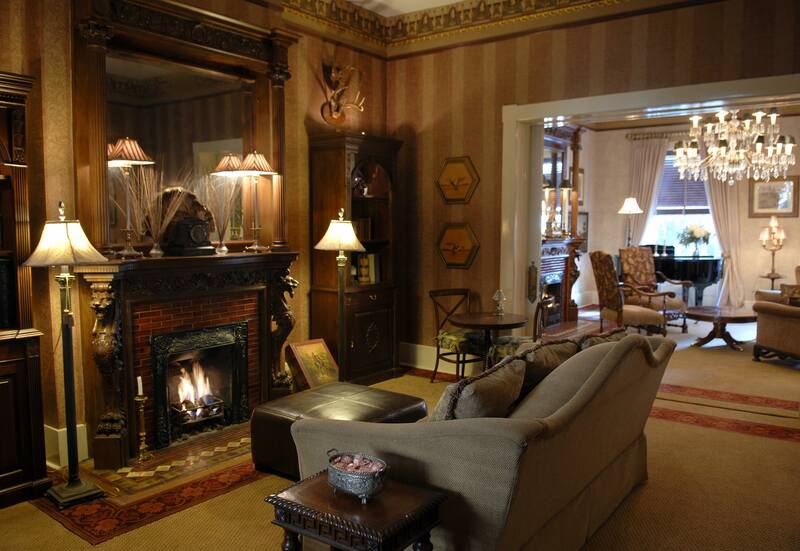 Out of our nineteen bed and breakfast rooms, fifteen of them have fireplaces. As a result this sets us apart from most of the other inns in Savannah. Only our carriage house rooms don’t have fireplaces. Our Essex room has two working fireplaces. Food is as important a tradition in this Southern city as anything, and we don’t make any exceptions here. All of our cuisine is prepared on premises daily is is served to you complimentary. It’s all included with your room price at this Savannah boutique hotels. Everyday we serve a full southern breakfast, afternoon sweets & tea, and wine & hors d’Oeuvres. There is never an extra charge for our amenities.